Vehicle wear-and-tear is bound to happen over time, especially if you like to play hard. MORryde manufactures the replacement accessories that matter most, like our Jeep Wrangler TJ Tailgate Hinges. When factory hinges begin to wear out, some Jeep enthusiasts might notice a loose tailgate, an annoying rattle or a sagging rear door that is hard to close. 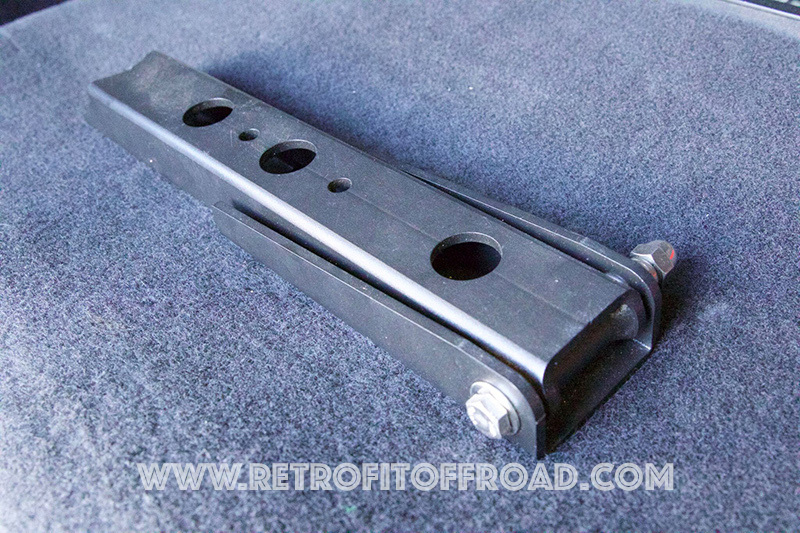 This heavy-duty hinge kit restores the integrity of the Jeep Wrangler TJ tailgate. These Heavy Duty MORryde TJ hinges are built for longevity. Part # JP54-025. 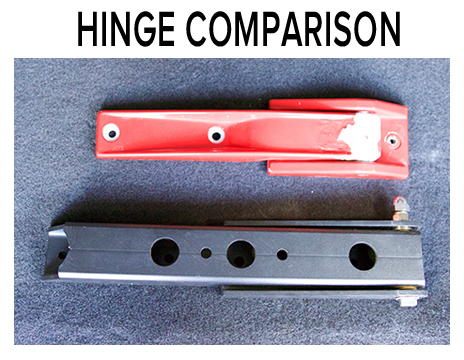 The only greazeable TJ hinge on the market, these replacement hinges have heavy-duty bronze bushings that can be replaced (quickly and easily) in the unlikely event that the bushings wear out. In fact, the bushings can be purchased at most hardware stores for easy replacement, and unlike the factory hinge, this hinge does not use the breakage-prone factory plastic cover, better protecting the components. For the ultimate tailgate upgrade (and reinforcement), pair these hinges with MORryde’s Jeep Wrangler Tailgate Reinforcement. MORryde’s tailgate accessory system is modular, meaning you can purchase and install whichever parts your situation demands. For example, when you’re still toting the factory spare, start off with installing just the hinges for a rattle-free tailgate. 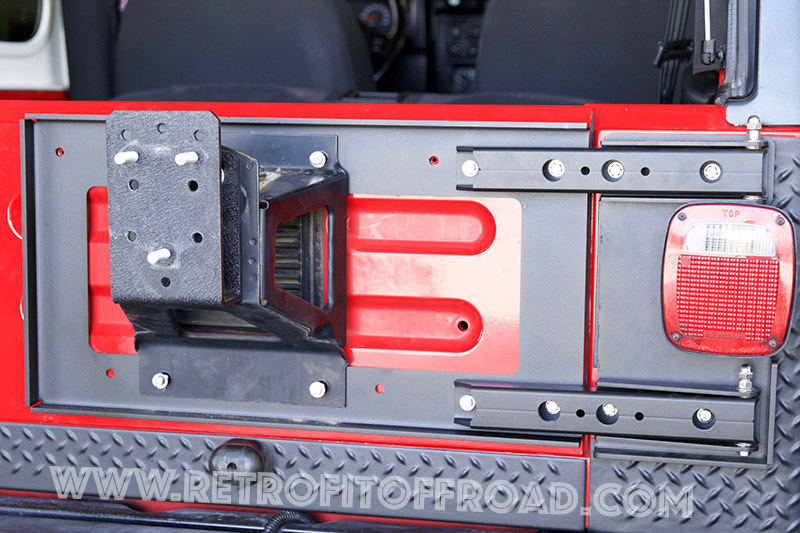 When you upgrade to a heavier spare that will fit on the stock carrier, then install the reinforcement along with the hinges. 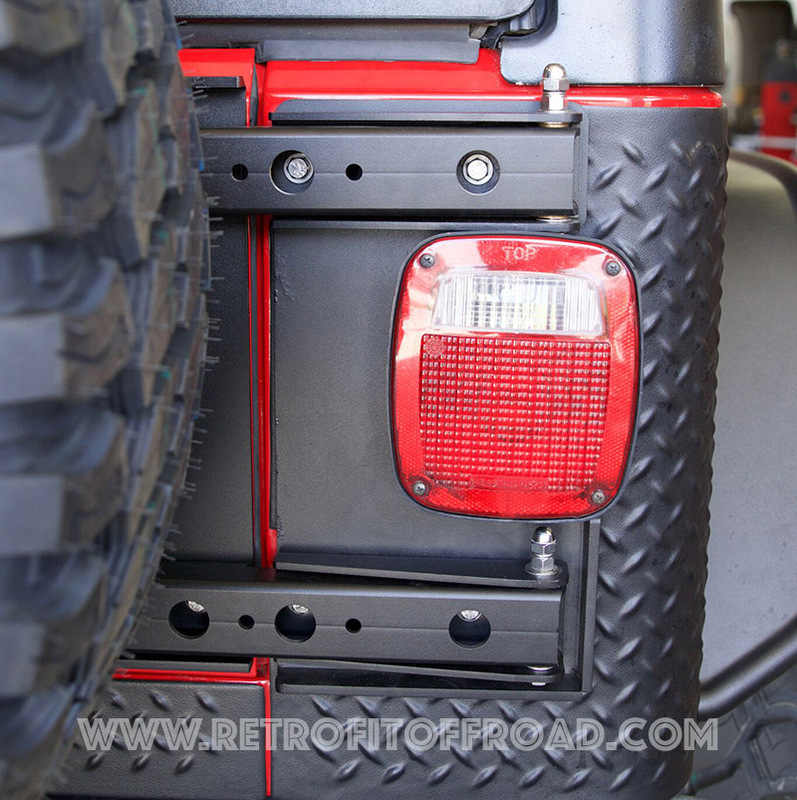 If you go to a larger, heavier spare, install the reinforcement kit(JP54-022). (bottom), features long bronze bushings, a 3/8″ stainless steel hinge pin and grease fitting for smooth tailgate operation and longer hinge life. Awesome product. Great price. Fast Shipping! Excellent! Thank you. These hinges are fantastic, highly recommend. The original hinges lasted 10 years, replaced with typical aftermarket hinge from the other guys that lasted ~3 months. The MORryde are much more substantial and mount/work perfectly.